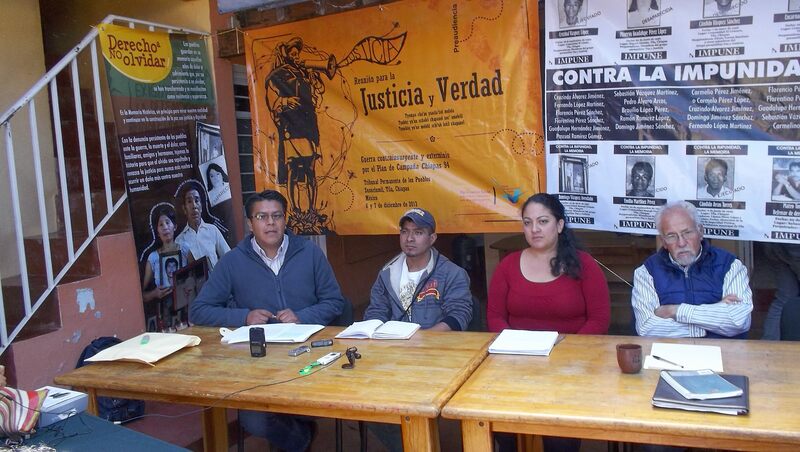 In light of this situation, the OMCT requests that civil society write to the Mexican authorities demanding that they immediately adopt the necessary measures to guarantee the security of the relatives and representatives of Tony Gutiérrez, and carry out an immediate, independent, exhaustive, and impartial investigation into the case. 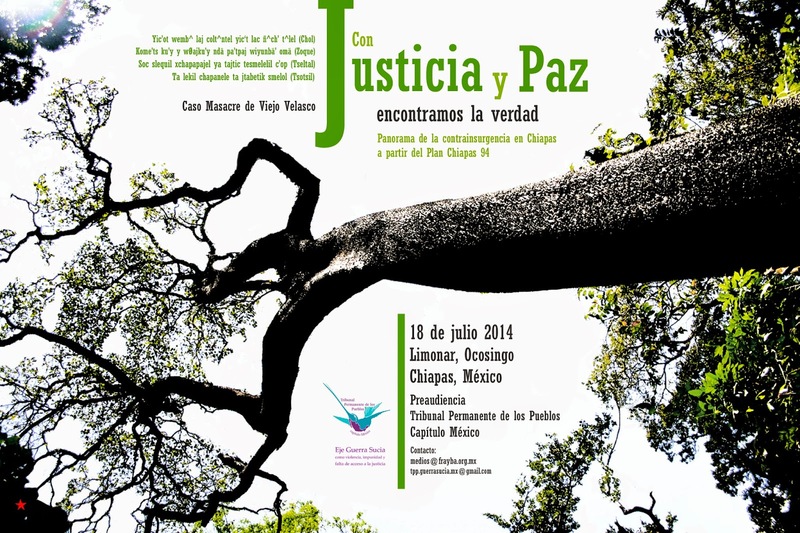 On 18 July will be held the pre-audience of the People’s Permanent Tribunal (TPP) “With justice and peace, we will find truth” in the El Limonar community, Ocosingo municipality. The invitation made to “all popular, social, political, and human-rights organizations, as well as all families, friends, and persons in solidarity with the victims of the counterinsurgent war in the state of Chiapas” was made within the Dirty War, impunity, and lack of access to justice track covered by the TPP’s Mexico Chapter. The idea is to address the case of Poblado Viejo Velasco which on 13 November 2006 experienced a massacre that left four executed, another four forcibly disappeared, and thirty-six displaced. In the event, there were presented testimonies regarding the extrajudicial executions and forced disappearances committed during the second half of the 1990s in the zone below Tila, in addition to the forced displacements of the communities of Chuctiejá, Miguel Alemán, Jolnixtié I Sección, Masojá Shuchá, El Limar, and Masojá Grande. The Fray Bartolomé de Las Casas Center for Human Rights has documented 85 extrajudicial executions, 35 forced disappearances, and at least 3500 displaced persons during this time in the northern zone of Chiapas.